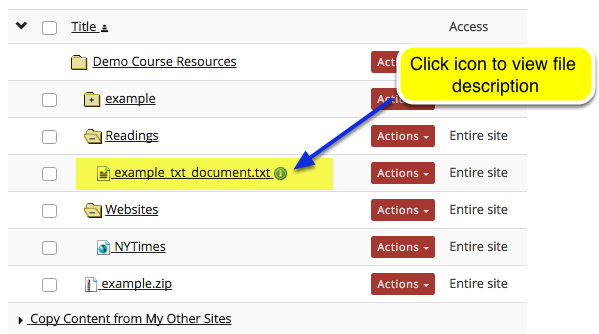 Instructor User Guide ResourcesHow do I create a text document? 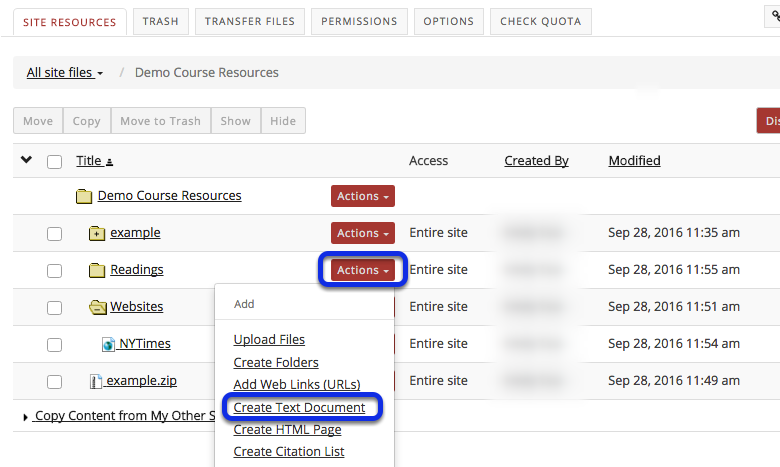 Click Actions, then Create Text Document. To the right of the folder in which you want to create the text document, from the Actions drop-down menu, select Create Text Document. 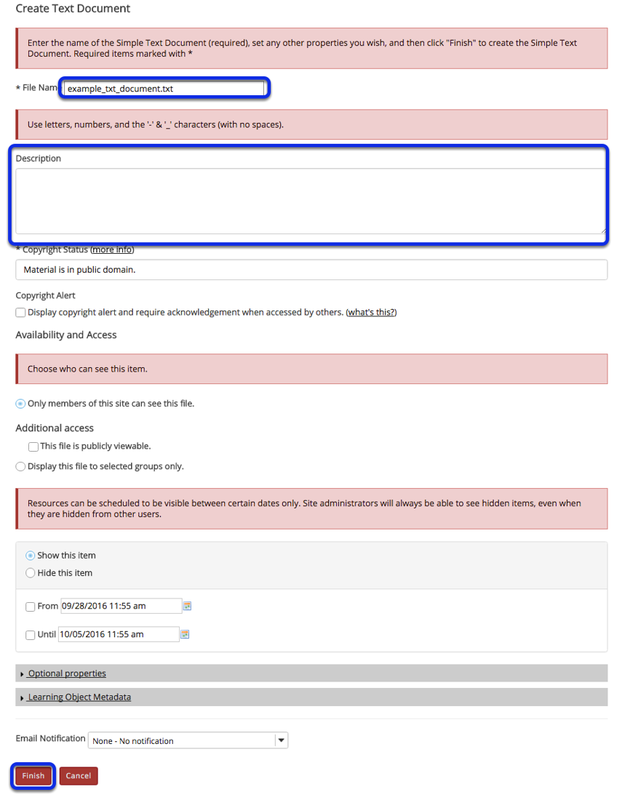 This displays the Create Text Document page. Enter text, then click Continue. Enter (or paste) the text into the text box, then click Continue. This displays the details page for the text document. 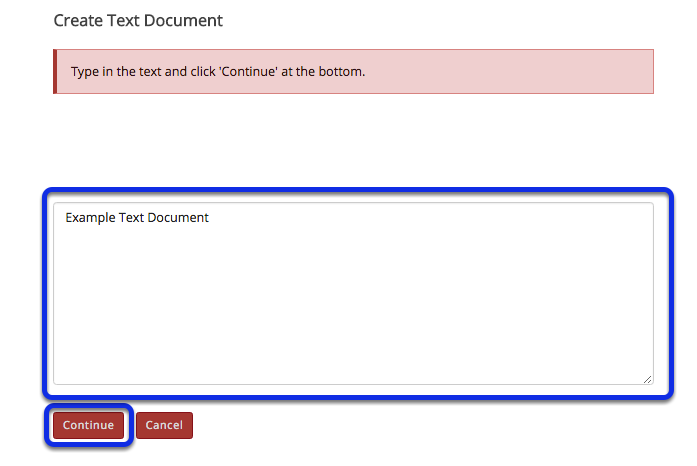 Enter a display name for the text document, and additional details if needed, then click Finish. View text document in Resources. The text document has been placed in the selected folder. Prev: How do I add a web link or URL? Next: How do I create an HTML page?